Spoken language identification (LID) or spoken language recognition (LR) is defined as the process of recognizing the language from speech utterance. In this paper, a new Fourier parameter (FP) model is proposed for the task of speaker-independent spoken language recognition. The performance of the proposed FP features is analyzed and compared with the legacy mel-frequency cepstral coefficient (MFCC) features. Two multilingual databases, namely Indian Institute of Technology Kharagpur Multilingual Indian Language Speech Corpus (IITKGP-MLILSC) and Oriental Language Recognition Speech Corpus (AP18-OLR), are used to extract FP and MFCC features. Spoken LID/LR models are developed with the extracted FP and MFCC features using three classifiers, namely support vector machines, feed-forward artificial neural networks, and deep neural networks. 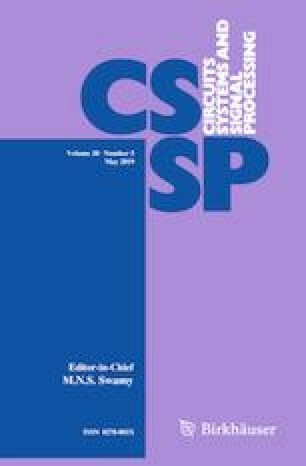 Experimental results show that the proposed FP features can effectively recognize different languages from speech signals. It can also be observed that the recognition performance is significantly improved when compared to MFCC features. Further, the recognition performance is enhanced when MFCC and FP features are combined. This work has been supported under ‘Special Manpower Development Program for Chip to System Design (SMDP-C2SD) Project,’ funded by the Ministry of Electronics and Information Technology (MeitY), Government of India (GOI), under vide Sanction Order and Grant No. 9(1)/2014-MDD(Vol. III). The authors would like to thank all anonymous reviewers for providing their valuable comments on earlier drafts of this manuscript. Their comments and suggestions are very useful and helped us to improve the quality of the final manuscript. The authors express out appreciation to Prof. Dr. K. Sreenivasa Rao and his research team for sharing IITKGP-MLILSC database with us during the course of this research. The authors also express out appreciation to Dr. Zhiyuan Tang for sharing AP18-OLR (AP16-OL7 and AP17-OL3) multilingual database with us during the course of this research. The authors would also like to thank MathWorks®, Inc., for providing MATLAB® tool and NCH®, Inc., for providing WavePad® Sound Editor Tool. Any correspondence should be made to N. S. Sai Srinivas.